Cancellation of Mendys Baseball Memorabilia Appraisals on Saturday May 19, 2012! We apologize but Mendy’s needs to cancel the planned Baseball Memorabilia Appraisal session at the Westminster Antique Mall on Saturday, May 19, 2012. We will be back for the next session on June 16th, 2012. See everyone then! Visit Mendy’s at the CSA Show in Chantilly, VA this weekend March 30 – April 1, 2012! Drop by for Free Baseball Memorabilia Appraisals on Saturday November 19, 2011! 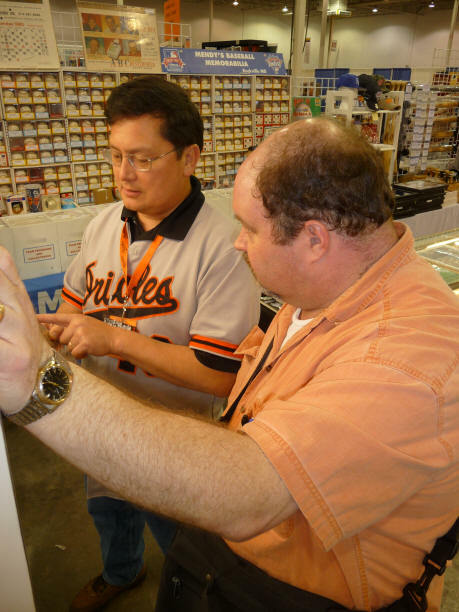 If you are in the Baltimore area and have a baseball item that needs appraising, bring it to the Westminster Antique Mall in Westminster MD! Check our show schedule for dates and times. His next scheduled appraisal time is tomorrow, November 19 from 1 to 4 pm. More Items at the Westminster Antique Mall! We have new showcases at the Westminster Antique Mall and we are in the midst of stocking them with the best baseball Memorabilia. Drop by to see what we have for you or let us know what you are looking for.